And, for the justices, the immediate problem was how to discuss the F-word without actually saying it. The "FUCT "Clothing line, created by designer Eric Brunetti, is mainly hoodies, loose pants, shorts and T-shirts, all with the brand name prominently displayed. If he could get his brand trademarked, he could go after the copycats and shut them down. 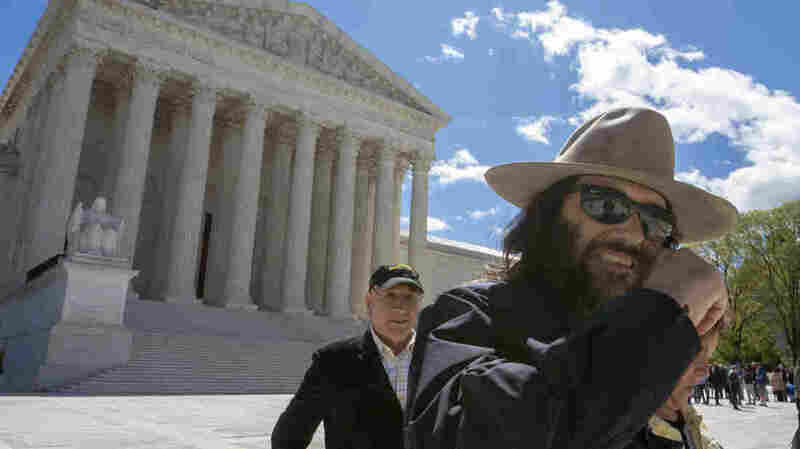 The U.S. the government patent and trademark office, however, has consistently rejected his trademark application, contending that those letters, "FUCT," violate the federal statute that bars trademark protection for "immoral," "shocking," "offensive" and "scandalous" words. Brunetti's case got a boost two years ago when the Supreme Court ruled that an Asian-American band calling itself "The Slants" could not be denied trademark protection. The trademark office had turned the band down, because it deemed the name racially "disparaging," but the court said the denial amounted to unconstitutional viewpoint diskriminasi. The government, he maintained, can deny trademark protection for that word. The justices pointed to a chart showing which terms had been granted trademarks by the government, and which ones had not. Most of the names on the chart – those granted and not granted – are not suitable for a general audience. Representing "FUCT" designer Brunetti, lawyer John Sommer did not have an easy time either. Justice Breyer had this question: why does not the government have the right to say, in essence, "You can use this language in your brand name, but the government does not want to be associated with it by granting trademark protection?" At the end of his argument, Sommer returned to the language of the statute, arguing that if "offensiveness" is the standard for turning down a trademark, "Steak 'n Shake" can not be registered either, because "a substantial portion of Americans believe that eating beef is immoral."